Web page visibility is the key factor in your online presence. It can save you a fortune in what you would have to spend on large and expensive campaigns in order to gain new visitors for lead generation. Search algorithms are a thorn for most website owners, they almost too difficult to keep your website optimized down to the beat. SEO is not a task that can be performed once and left to fend for itself. It is a never-ending process that requires constant attention. Is your website just not performing as well as it used to and you’re just not sure what to do? With Chirp website designs we have a standard set of practices we use, so we’ve put together a simple action list that you can take in order to get your SEO roaring again. There are many reasons why your SEO may have dropped for your website. 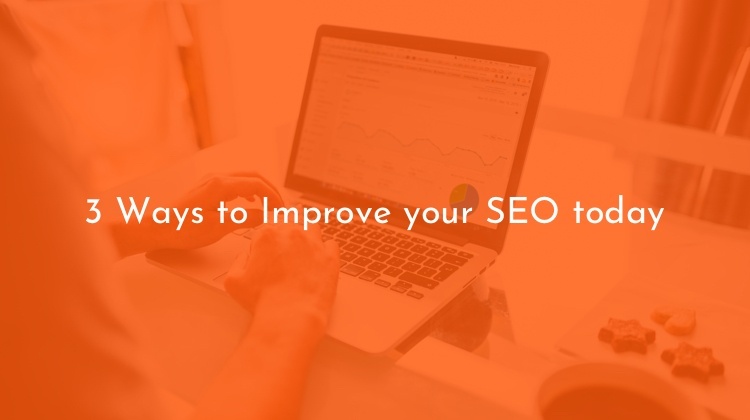 Search engines are constantly evolving to provide the best and most relevant content to searchers, so staying on top of your SEO can be a bit daunting and difficult. Without a detailed analysis, covering each aspect of your website, you likely will never know what exactly is happening. A full-scale website audit is not a simple process, it can take hours and sometimes even days, depending on the complexity and sheer size of your website. There is no coincidence that there are many SEO service providers out there, that offer to help keep your website SEO friendly and ranking well. An SEO audit process should contain several key stages, and with each stage completed you will have a clearer picture of what you should improve on. It’s no secret that good content reigns king. But creating content just to create content serves no purpose for your buyer or your website. Ensure your content has a purpose. That solves a pain, problem or challenge for your buyer. Great content should elicit an emotional response from your buyer, but also guide them through the buyer’s journey. Research shows that average first-page search results include content that counts around 1890 words. What does that mean? Well, when Google is searching for relevant content to provide its searchers, those websites that provide long-form content that is relevant have an advantage. This is because the content offers more contextual relevance regarding the search terms of the searcher. Ensure the content you are creating is what buyers are searching for. We mentioned that your content needs to have a purpose. That purpose can be to increase your lead generation, or it could be to educate your buyers, or it could be both. Just be sure you’re clear on what that purpose is. The ultimate goal of search engines is to bring better and more relevant search results to their users. This is where there isn’t a golden formula for SEO and there is no finite solution. In order to keep our website competitive and attract new visitors, we need to constantly work on creating new valuable content that Google and other search engines notice for topic relevance. These were the three activities that we feel will help you boost your SEO performance, what’s your favourite method? 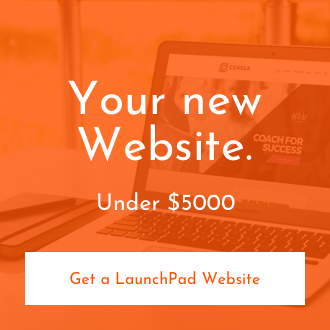 If you're not sure where to start or are just looking for a fresh website that converts, you need a LaunchPad Website.